The SIUE Concert Band, under the direction of Dr. John Korak, performs the finest in contemporary and classic band literature. 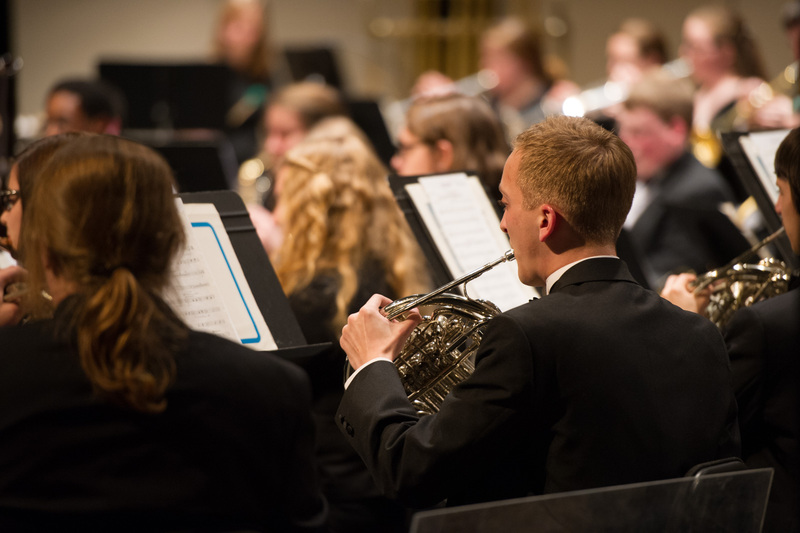 Comprising music majors and non-music majors alike, the Concert Band is ideally positioned to provide a musically enriching experience at the university level for any student wishing to continue his/her music studies beyond high school. The emphasis in the Concert Band is on making beautiful music while developing performance skills in an environment that is fun, respectful and enjoyable. The band performs two concerts each fall and spring, and its repertoire can easily accommodate the tastes and abilities of students from a wide range of musical backgrounds. Regardless of major or skill level, every student in the Concert Band is a valued member of the ensemble and will have an opportunity to perform principal parts if so desired. No audition is required to become a member of the Concert Band, though previous high school band experience is required. For students needing instruments, school-owned instruments will be provided. If you are interested in becoming a member of the SIUE Concert Band, or have questions about the ensemble, please contact Dr. John Korak.